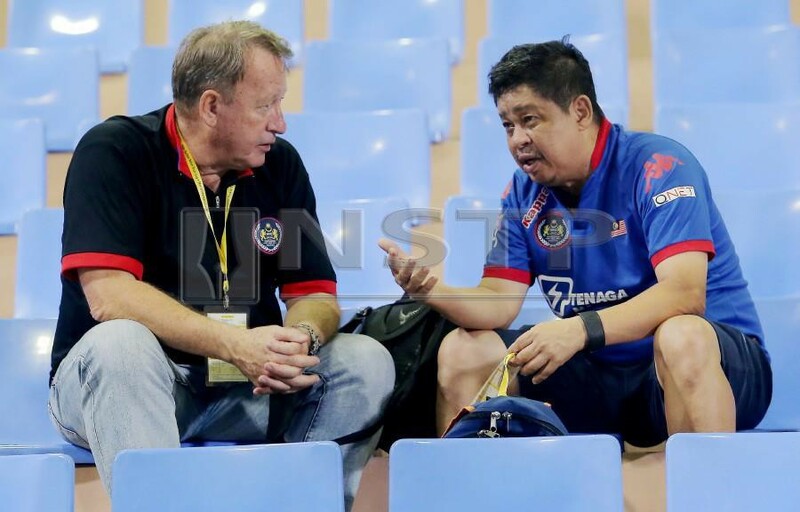 MHC technical director Terry Walsh (left) seen here with former national men’s senior squad head coach, Stephen Van Huizen during the 2017 Sultan Azlan Shah Cup in Ipoh, announced earlier today (Tuesday) that he will not be renewing his contract. KUALA LUMPUR: Malaysian Hockey Confederation (MHC) technical director Terry Walsh has decided to step down after more than three years of charting the future of the sport in the country. The 65-year-old Australian made the announcement at a special press conference that was held at MHC’s headquarters here earlier today (Tuesday). And what was the reason behind his decision? Well, apparently the National Sports Council (NSC), who are his paymasters, were forced to release him because of limited funding. “After more than three years as the technical director of Malaysian hockey, I have decided to step down from my position and have already informed MHC on my decision. “I have absolutely no idea what I am going to do next, as I will go back to Perth and enjoy some quality time with my family,” said the 1976 Montreal Olympic Games silver medallist, who read from a prepared statement. Walsh will see through the remainder of his contract until the end of March, before calling it a day in Malaysia. “I will continue to be involved with MHC until the end of March, after which I will return to Perth and enjoy some quality time with my very understanding wife and family. “I have every confidence that after 20 years, the men’s team will qualify for the Tokyo Olympics and I really hope that when they do it, it will encourage a whole new generation to start playing hockey in the country. “Malaysia needs to be strong, for Asia to be strong as well,” said Walsh. In his absence, national men’s senior squad head coach, 64-year-old Dutchman Roelant Oltmans, will now chart the path to Tokyo, starting with the Hockey Series Finals which Malaysia will host in April.